Corded electric chainsaws are highly versatile and great tools to have for homeowners. 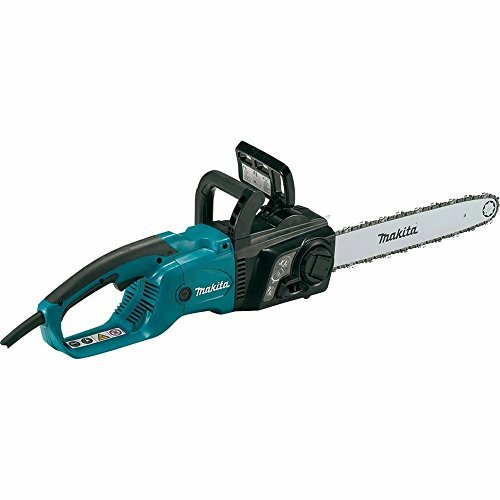 This type is the most affordable of chainsaws due to the lack of batteries or gas engine. For jobs where you do most of your cutting in one place, like cutting up firewood for example, or construction jobs, these saws offer great value. However they have their drawbacks as well. The Black & Decker LP1000 alligator lopper is compact and lightweight. It is incredibly easy to use and comes with a 2-year factory warranty. The WORX WG304.1 is a competent performer and a great deal at its price point. Although it didn’t exactly blow us away, this is only because of our high expectations from all the buzz. The Makita UC4051A is well-built and cuts like a champ. It is a more heavily built electric chainsaw but we find the ergonomic handles comfortable and this chainsaw very wieldy. 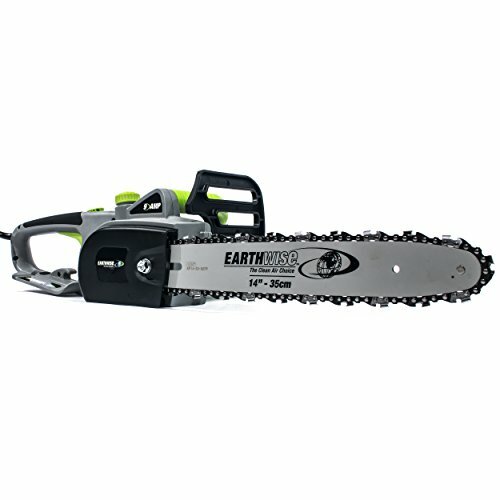 The Earthwise CS30116 is the perfect electric chainsaw for those who only need occasional light cutting around the house. This is a real power tool at a giveaway price. The Black and Decker CS1518 is a medium-duty electric chainsaw with 15A motor and 18” bar. It is powerful and relatively quiet so you can’t go wrong with it at this price. how to use an electric chainsaw? what kind of oil does an electric chainsaw use? how to tighten the chain on a (remington) electric chainsaw? An electric chainsaw is a very versatile tool for residential use, and it also has some commercial applications. Whenever you need to prune or cut down small trees, this is the gadget that will help you the most. The fact that it makes less noise than a gas-powered model allows you to work in heavy populated areas without disturbing other people. If you have to adjust wooden racks or furniture around the house or even inside the house, you can benefit greatly from an electric chainsaw. Because it produces no fumes, it is one of the best tools you can use for cutting indoors. Also, since models of all sizes and power capacities are available, they can be used for just about any professional and amateur home improvement project. Landscape gardeners benefit most from using such a gadget. 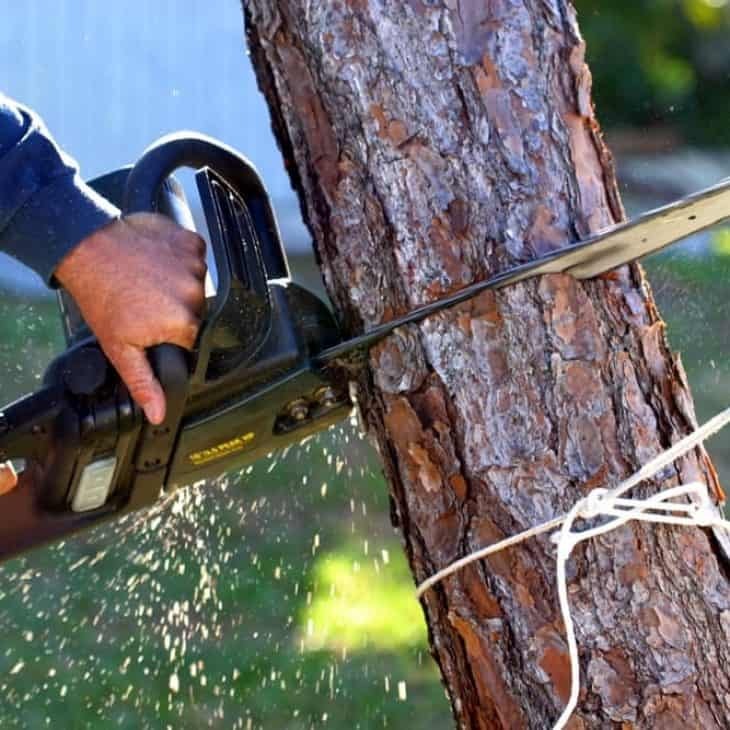 As long as the job does not involve cutting down thick, heavy trees, an electric chainsaw can handle just about anything, provided the cord is sufficiently long. Typically, weight and power go hand in hand for chainsaws. The bigger the capacity and engine, the more power you get out of the chainsaw. This is where the difference between electric and gas models is significant. Maneuverability is everything when it comes to cutting wood. You need to feel comfortable while using the tool to have accuracy and to ensure your safety and the safety of others. The bigger the chainsaw, the harder it will be to control. At the same time, the bigger the model, the more powerful it will probably be. This is why professional loggers don’t look like your average Joe, but are, instead, built more like NFL players. Even electric chainsaws can be hard to handle if you are not experienced and are using a powerful model. A medium to large tool, that can do great work on limbing and bucking can cause hand fatigue really quickly. Good stamina and steady hands are required, regardless how easy the task appears to be. These tools can either be plugged in or cordless. Battery-powered models clearly offer more mobility but they cannot provide long working sessions. They can work for small tasks around the house, but the more power the engine has, the faster your battery depletes. When working with an electric chainsaw that needs to be plugged in, you should always use a cord for outdoor use. One that is waterproof is essential to avoid damaging the tool and injuring yourself. Even when indoors, you can still use an outside cord and some waterproof gloves just to be on the safe side. 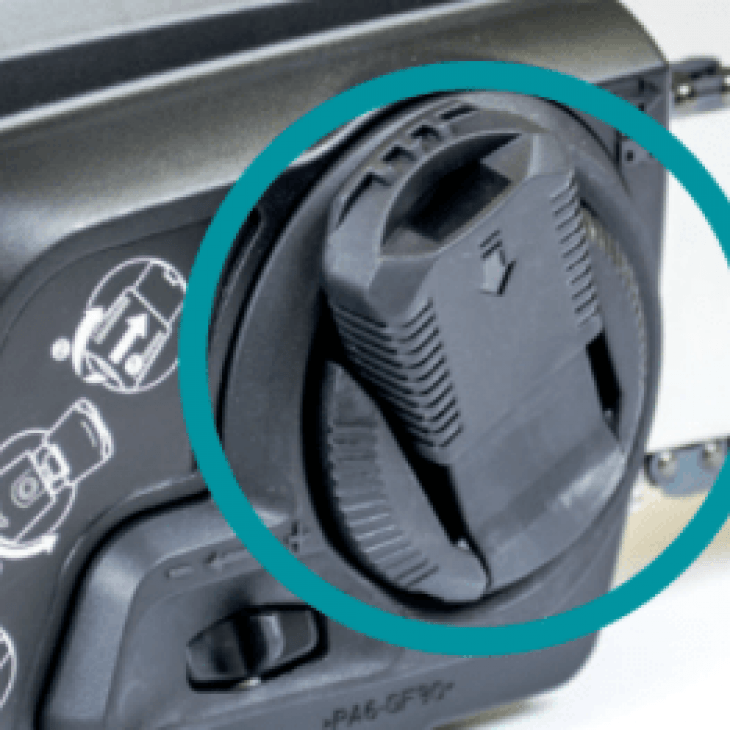 There are even hybrid models, pricier of course, but they can be a bit more versatile in terms of power input and output as well as mobility. You can use them with a cord or without one. Using a cable that is too long will cause the chainsaw to lose amps, while also reducing the power efficiency. This is one of the most important features to consider when shopping for an electric chainsaw. The general safety rule is that your blade should be 2” longer than the size of wood you want to cut. Although you can, for instance, use a 14” blade to cut down a 28” tree using two passes, it is not recommended because it will severely affect the durability of your tool. Most electric chainsaws are equipped with blades between 14” and 20”. The longer the blade, the more problems you are going to have with the kickback effect. This is another reason why the electric models are not recommended for heavy-duty use. For regular house work, you can settle for a blade that is less than 14”. Anything above 8” will get the job done, and it will be easy to handle even for the inexperienced worker. Trimming and pruning can and should be done with a blade smaller than 12”. Medium firewood cutting requires at least a 16” or an 18” blade. As far as electric chainsaws go, this is usually the most heavy-duty task it can handle. Of course, bucking is also on the menu, although it is not recommended. You would just have wasted money on a chainsaw while reducing is lifecycle. The most experienced chainsaw users will always make sure that the following features are available in the product they intend to use. Chainsaws are not only hard to handle but they are also some of the most dangerous tools to work with. Besides messing up a project with a bad cut, you can seriously injure yourself or someone near you if you don’t have proper control of the tool. 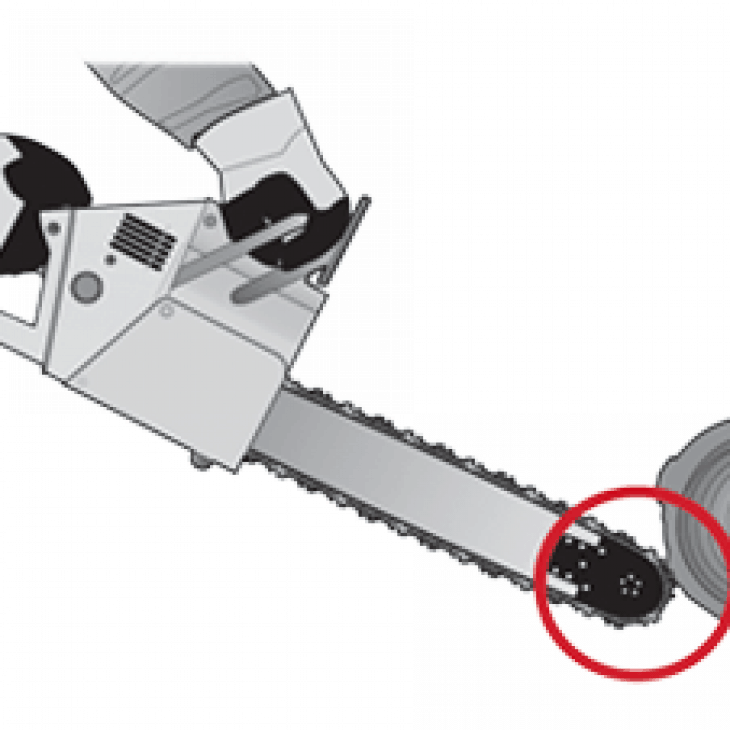 An inertial chain break is what you should be looking for on an electric chainsaw. 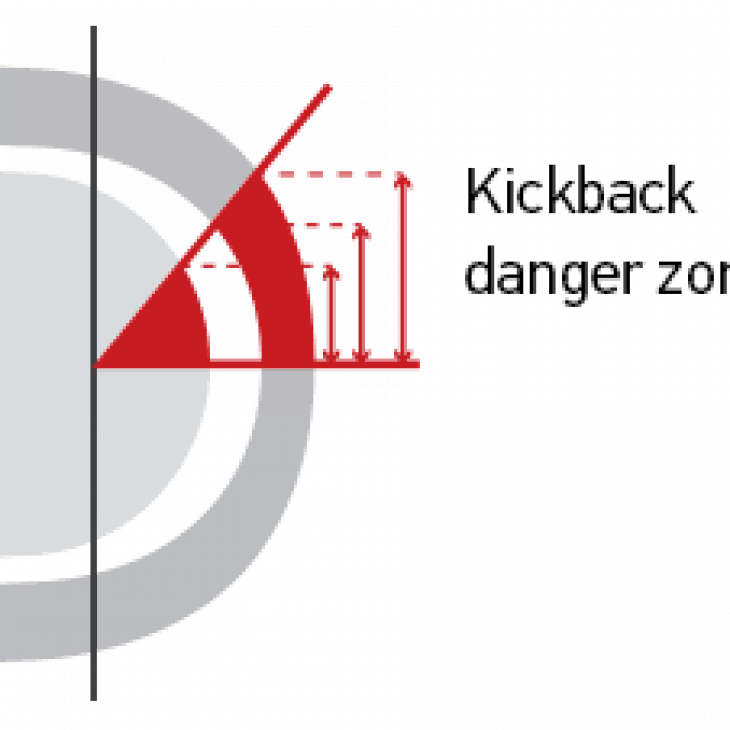 Because the chain can rotate up to 60mph, accidents occurring from the kickback effect are more common with manual breaks. An automated response will be faster than any manual reflex. The automatic chain oiler is another feature that helps you in the long run. A well-oiled chain not only guarantees smoother cuts, but also extends the life of your blade. Making sure your tool doesn’t get stuck while cutting is also important for your safety. Because you’re looking for a more general purpose model, you don’t want maintenance to take up most of your time. Gas chainsaws are very demanding with their upkeep which is why a tool-free chain tensioning feature can save you a lot of time. It can also protect against potential scratches that can result from manual interventions. Brushless motors can be more expensive but they are really worth it in the long run. They put out less noise, and there are no brushes that can wear out. Higher efficiency is guaranteed when using a computer, and with fewer mechanical parts, it is also so much easier to cool down. If you own a vehicle, then you are familiar with keeping up the oil levels in your electric chainsaw. Most models feature a window which makes it easy for you to ensure that the tank is always at least half full. Preventing the kickback effect is often times more related to the experience of the user than the tool design itself. 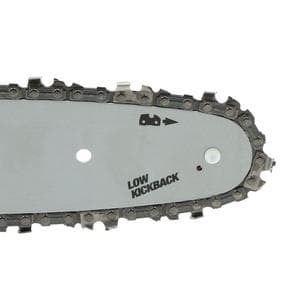 However, you can use an anti-kickback chain on most electric chainsaw models. This accessory is available for most consumer tools and not so much for heavy duty gas chainsaws. Manufacturers come up with their own versions of safety features, and some are better than others, of course. But, apart from what the tool can do to keep you out of harm’s way, you should also consider the proper equipment for handling such a dangerous tool. Cut-resistant boots are highly recommended regardless of the engine type, power output and, blade length. Eye and head gear should also be worn at all times as are special gloves with a good grip. When buying gloves, you also need to check the dampening levels of the chainsaw. If it lacks in this area, you should get thicker gloves to eliminate the risk of fatigue and loss of control. 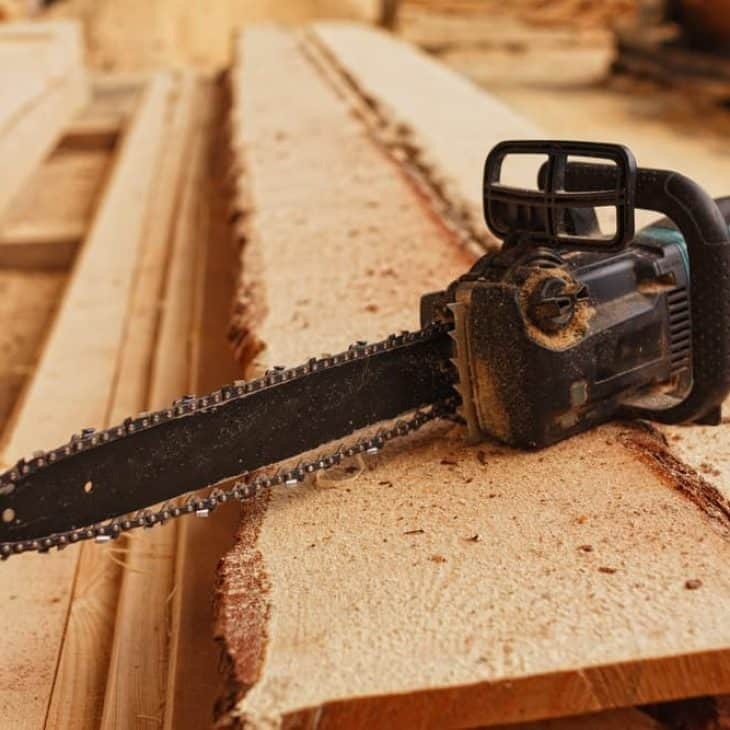 Hearing protection can also be useful, although for most commercial-use electric chainsaws, there isn’t much need, since they are designed to be less noisy. 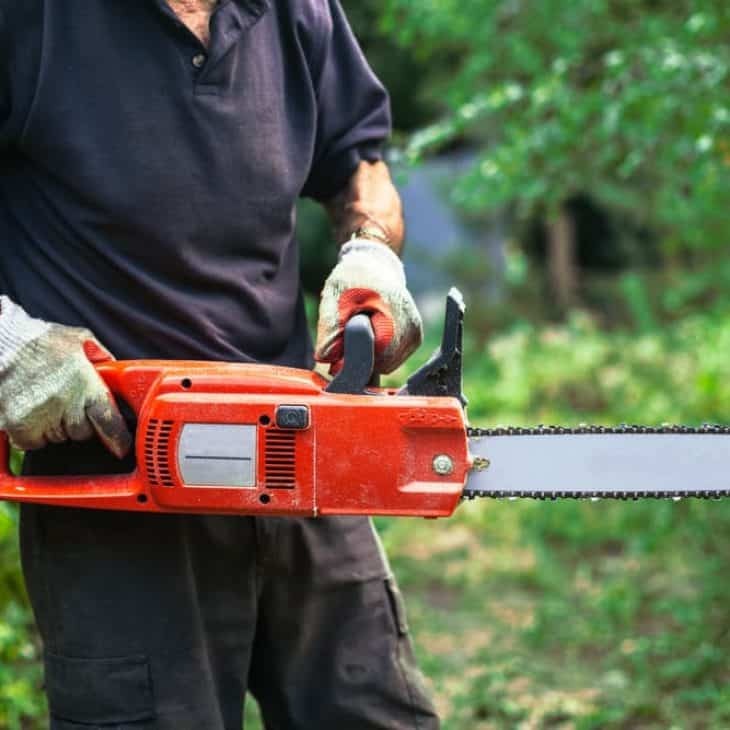 There is another issue that relates to safely operating an electric chainsaw, and even though it has nothing to do with features and accessories, it is very important to keep in mind. Good physical conditioning is required, even for the smallest and less powerful models. Not only is having a good grip mandatory, you will be throwing money down the drain if you cannot control your cuts and mess up your projects. To sum up, buying an electric chainsaw is not the easiest process in the world. For amateur users, there are tons of things to consider. Professionals, even though they know what to look for, still take their time and analyze the features with care and compare brands and models before buying a tool. 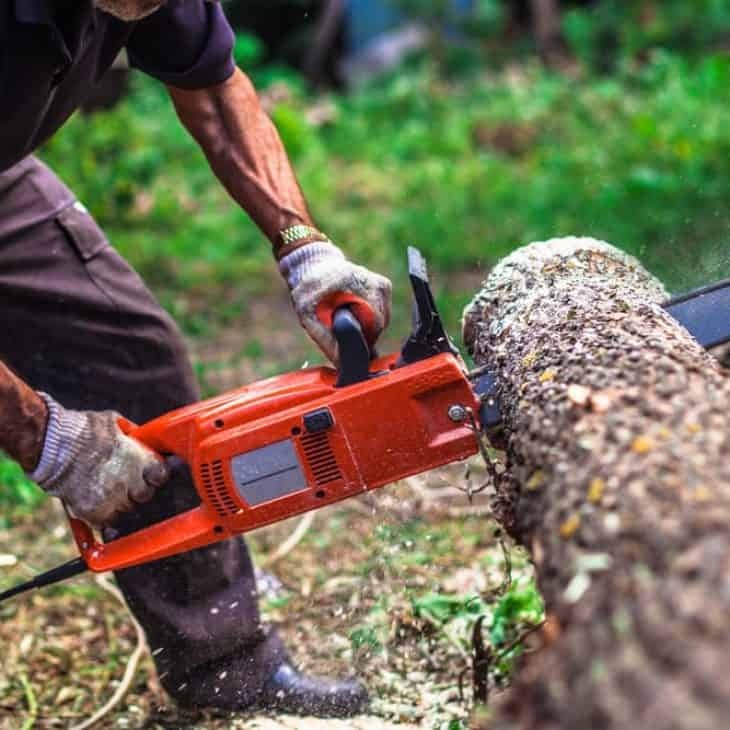 Although it is a lengthy selection process, following our instructions should guide you towards buying an electric chainsaw that best meets your needs. Being specific about the tasks you want to do, is the first step. From there, you then know what blade length, kickback protection features, and engine power you will need. It is always best to take your time when purchasing tools that are hard to handle and dangerous. If the situation presents itself, and you cannot make a decision fast enough but the project needs completion, don’t think twice and call in a professional. You can always make the purchase at a later time, as woodworking around a house is something you will have to tackle more often than you think. Like cars, when people mention chainsaws, they are likely to mean ones that are powered by gas. Also like cars, gas-powered chainsaws are more powerful but bulkier. In addition to being more compact, electric chainsaws are cleaner, quieter, and easier to maintain. 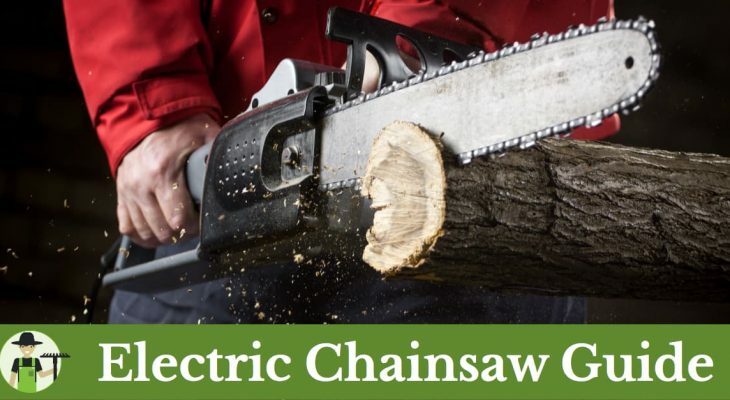 There are two sources of electric power for chainsaws. The most obvious source is wall electricity, which requires the electric chainsaw to be corded. The other source of electric power is battery, which makes the chainsaw cordless but heavier (depending on the size of the battery). This write-up contains 5 reviews of the best electric chainsaws on the market today. 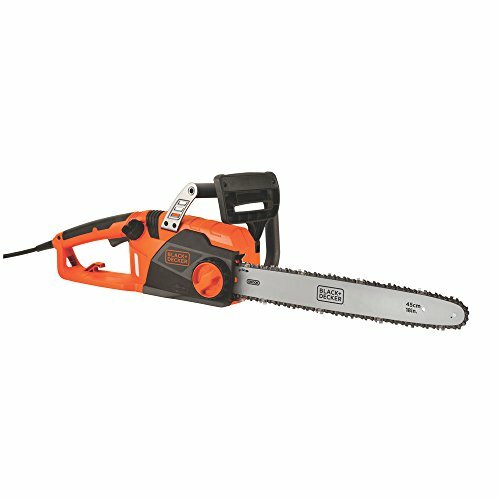 Electric chainsaws are much cheaper than cordless battery-powered chainsaws of similar capability but one would have to deal with extension cords. We have selected the best electric chainsaw for 5 categories to help you make an informed buying decision. These saws all need a power cord to function obviously. If you think that might be inconvenient, or if you just dislike cords, go to our battery chainsaw reviews page instead. 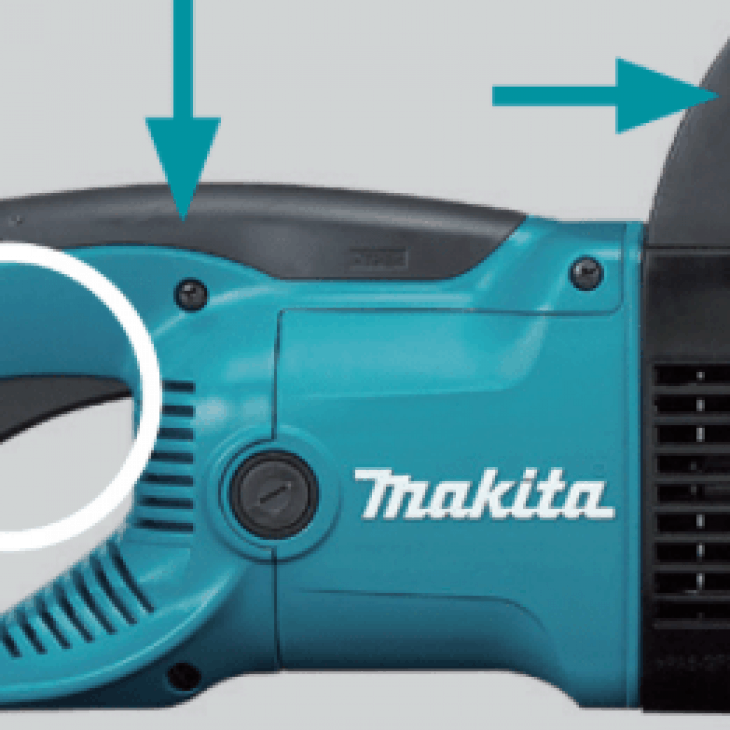 Makita makes a wide range of highly rated gas-powered chainsaws, so you can expect this Japanese company to know a thing or two about electric chainsaws as well. The UC4051A is the top Makita electric chainsaw, and it’s an impressive one. This is a serious electric chainsaw with a 16” bar and 2,850 FPM chain speed. The 110V model is rated at 1470W, so it will draw about 14A from the wall. You will need a 14-gauge 50ft extension cord or a 12-gauge 100ft extension cord. The 240V model is rated at 2,000W for those who have a 220-240V line at home. 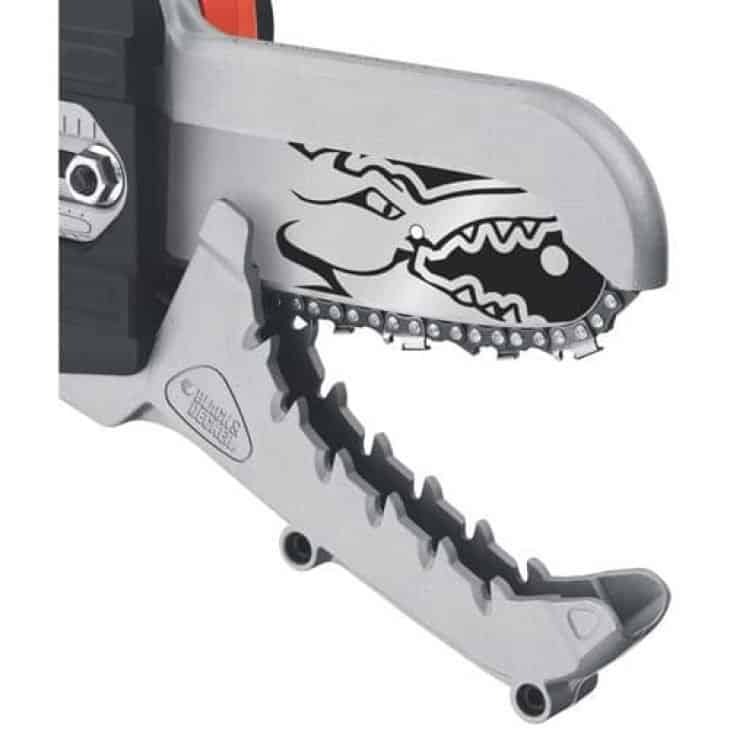 All of today’s standard safety and convenience features can be found in this chainsaw: electric chain brake, kickback brake, electronic current limiter, tool-less tension adjustment, automatic chain oiler, low-kickback Oregon chain, and metal bucking spikes. The WORX WG304.1 has generated so much buzz that we simply had to check it out for ourselves. 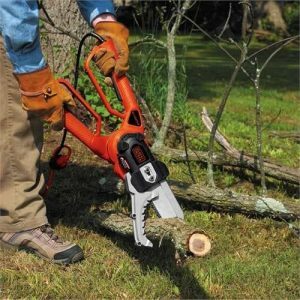 It is a best-seller everywhere—often touted as the best affordable electric chainsaw. The specs are impressive. It is marketed as a 15A electric chainsaw with 18” low-kickback Oregon bar and chain. Despite these specs, it is compact and lightweight. The rated chain speed is 2,360 FPM which is good for an electric chainsaw in this price range. The WORX WG304.1’s tool-less auto-tension and chain replacement system makes it extremely user friendly. 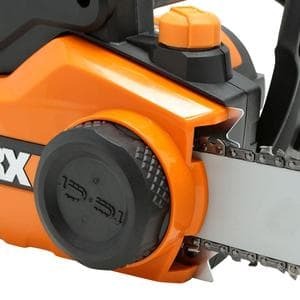 It is also equipped with all the standard safety and convenience features, except anti-vibration provisions which are only needed for powerful chainsaws that run on gas. Requires regular cleaning, especially if you use it to cut a lot of small branches. The Black & Decker LP1000 is an electric lopper. Electric loppers are technically chainsaws since they cut with chains. Black & Decker called the LP1000 an alligator lopper because the cutters look like an alligator jaw with the chainsaw contained within. This is why electric loppers are much safer to use than chainsaws—it’s not easy to accidentally cut yourself, and the risk of chain kickback is virtually nil. The bar length is 6” with an effective cutting diameter of up to 4 inches, so this is not for cutting logs. 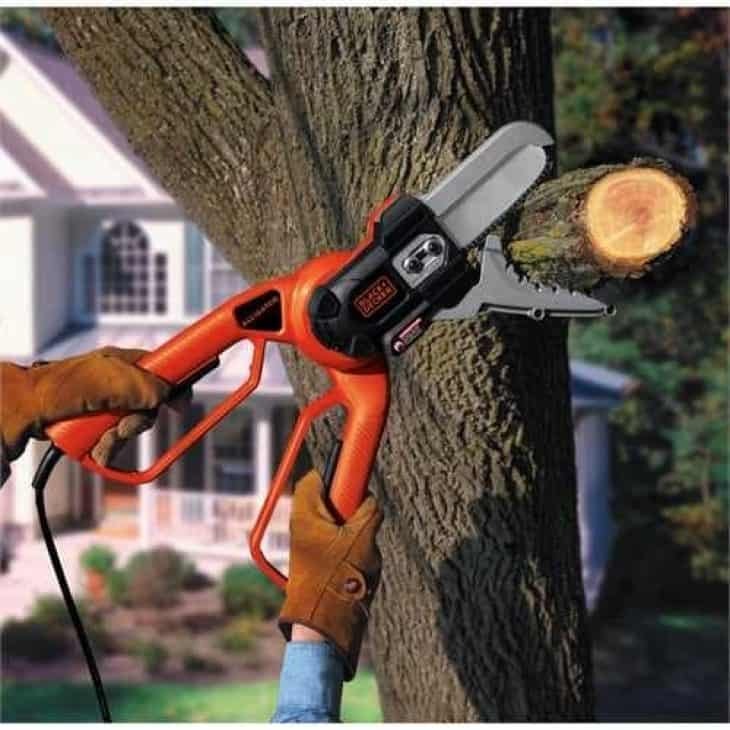 Use the Black & Decker LP1000 for cutting and pruning branches and shrubs up to 4” diameter. This alligator lopper cuts effectively. Clamp the jaws on a branch and it will cut it in a jiffy. This is the age of breaking price barriers, and the electric chainsaw is no different. In the Earthwise CS30116, we’ve discovered the best dirt-cheap electric chainsaw. The Earthwise CS30116 is equipped with a 12A electric motor and 16” bar. It has tool-less chain adjustment, metal bucking spikes, and auto chain oiler with clear oil level window. However, it does not have a chain brake. This means that the operator would have to be alert and release the trigger immediately in the event of the chain snapping. All in all, this is an excellent low-cost chainsaw with more than enough power for regular yard work. It is not built for cutting firewood hours on end. It is very lightweight. Even though the noise level is relatively low, there is not much vibration dampening so your hands will feel the jarring over time. 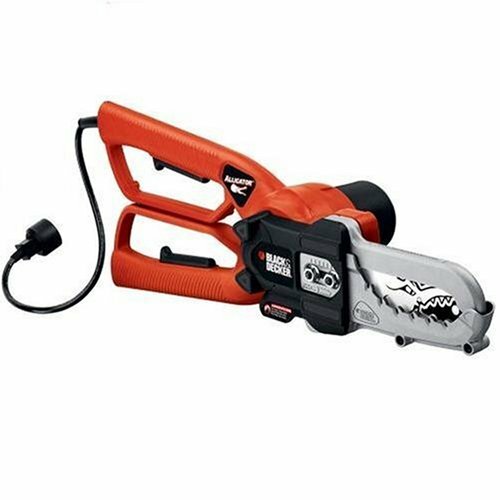 This electric chainsaw has the unmistakable Black + Decker finish and styling. It features a strong 15A motor and 18” Oregon bar with low-kickback chain, which makes it Black + Decker’s largest corded electric chainsaw. 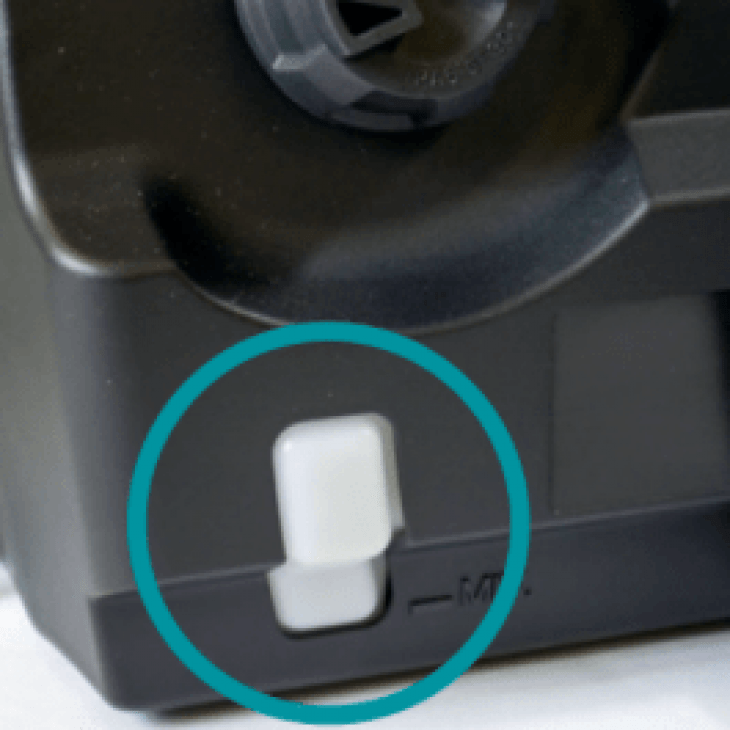 The large tool-less chain adjustment knob on the Black + Decker CS1518 is very easy to use. It is equipped with chain brake, automatic chain oiler, and metal bucking spikes. Black + Decker markets the CS1518 as a medium-duty chainsaw. We found it to be powerful enough to cut wood up to about 12-14” diameter. It is quiet compared to other electric chainsaws, and of course much quieter than gas-powered chainsaws. 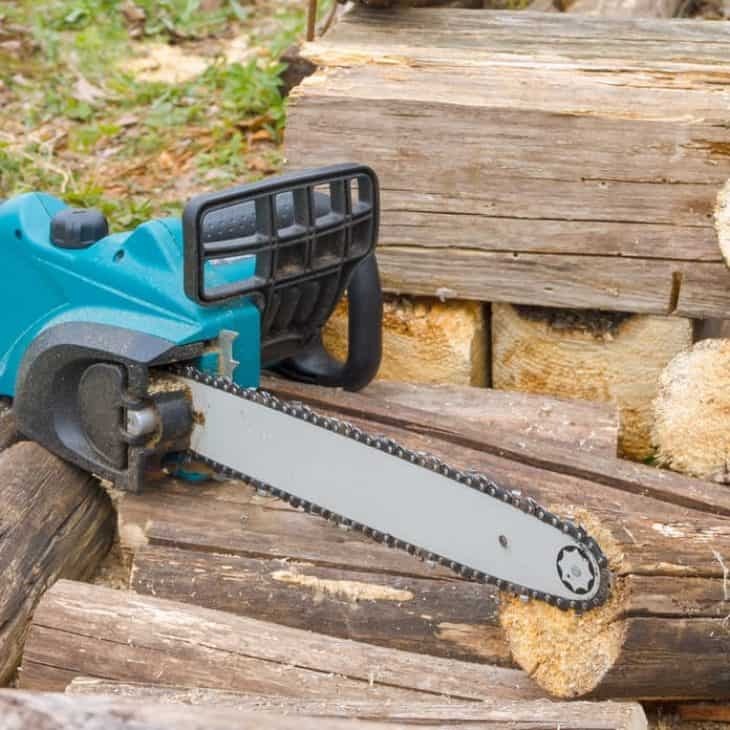 This chainsaw is well-balanced, and the handles are comfortable but we’ve found the build quality a bit flimsy compared to other chainsaws in this price range. Protective pants are incredibly important. Remember, the movement you make with the saw is always towards your legs. If you slip or something unexpected happens, the saw will cut your leg. This happens daily around the world. Please don’t be one of them. After you have properly taken care of your safety equipment, it is time to assess your experience level. If you’re not very experienced, it is even a good idea to be handling a chainsaw? Most people probably are able to handle chainsaws, as long as they are sensible about it. Do not take on jobs that are too big for you to handle. If you are felling a tree, you have to be 100% confident that you are able to avoid houses, sheds, cars, and most importantly, people. If you are not 100% confident, seek assistance or let a professional do the job. Now, how to use an electric chainsaw. It’s pretty straightforward. before you plug in the cord, check the oil level. Every chainsaw uses chain oil to lubricate the chain. without proper lubrication the chain will become red hot and burn. Make sure the oil tank is full. Secondly, make sure the chain is tight but not too tight. There should be some slack on the chain on the underside of the chain bar. However, if you can look through the chain and bar, it has too much slack. Now, wear your PPE. Plug the power cord into an outlet, preferably an RCD equipped outlet. Hit the power button, and look and listen as to how the chain spins around. If the chain stops spinning too suddenly after you release the “gas”, chainces are the chain is too tight. Also, take a close look at he chain. It should be covered in a thin film of oil. If it’s not, there is something wrong with the oiling mechanism. Most times the oil canals are clogged with sawdust. If all this is good, make a cut. As long as the chain is properly sharpened, this should go very well. If it’s not, read our article on how to sharpen a chainsaw. An electric chainsaw obviously has no combustion engine, therefore motor oil is not used by these types of machines. However, the chain needs to be oiled while spinning. This is to prevent the chain from getting overheated, and aides the chains cutting capability by lowering friction. The type of oil to use is chainsaw oil, preferably bio-degradable chainsaw oil. The reason I recommend bio-degradable chainsaw oil is because while you’re out cutting, the oil from your saw ultimately will end up in the soil of your yard. 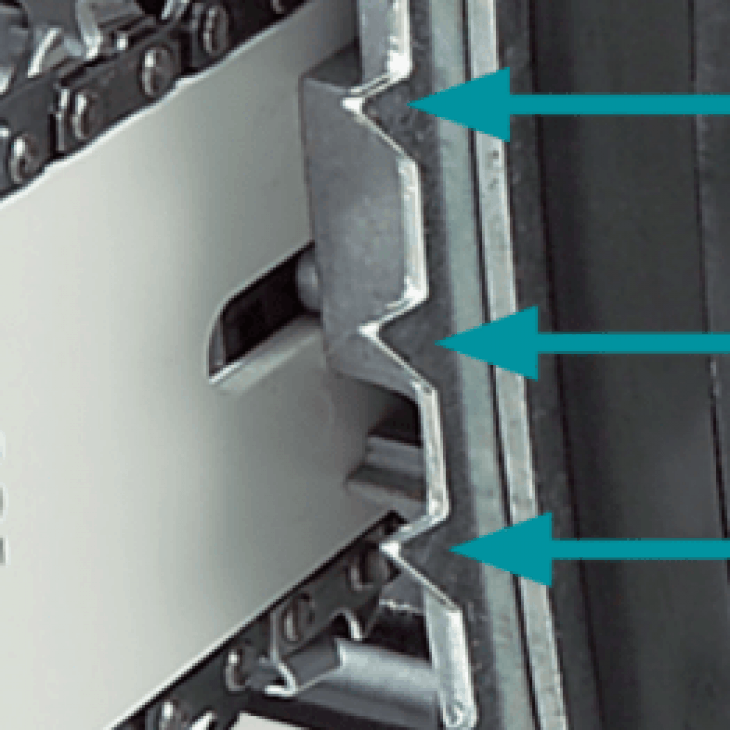 Tightening a chainsaw chain is very straightforward on most saws, and even easier on some saws targeted towards home users. Traditionally, chainsaws have one or two nuts clamping the chain bar to the chainsaw. To tighten or loosen the chainsaw, you actually adjust the position of the bar. So, what you have to do is loosen the nuts that hold the bar, they are always located on the right hand side, on the front end of the chainsaw. Do not take the nuts of off the bolts altogether, just loosen them up. Then, there is flathead screw in the middle of these nuts. If you turn this screw clockwise, the bar and chain will tighten. If you turn it counter-clockwise, the bar and chain will loosen. Some chainsaws have a tool-free tightening system. In this case, there is usually a big lever or knob that you can simply twist clockwise to tighten the chain. If all this fails, refer to your manual or google your exact type of chainsaw and find the manual online.